I’m often asked how to increase the number of telephone appointments to generate new business. There are of course certain things that have to be in place. A good, relevant and valid list supports lead generation. That includes recently gathered data and named decision makers likely to be receptive to your products and services. Likewise, telemarketing techniques are essential such as objection handling, gatekeeper techniques and so on. A strong proposition is essential. Without it, why would anyone want to see you? And by that, I don’t mean a pitch that goes something like “we do good work, we’ve got good clients and we want to see you”. If you really want to increase telephone appointment levels, that won’t cut it. That’s not least because your prospect’s current suppliers are likely to be able to say the same and they may be contracted for 12 months or more. And the other 5 similar calls this week also said the same thing. Unless there’s a major supplier problem that’s unlikely to work. So what’s the secret? Well, it’s mostly about the person on the phone. People say you can train skills but you can’t train attitude. That’s probably true. Equally, they say that good sales people are born. Maybe that’s also true. One thing is for sure. 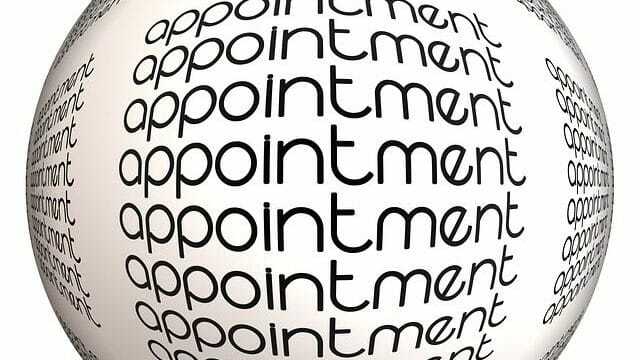 If the person on the phone isn’t motivated and hasn’t got the right attitude, you won’t generate more appointments and your telesales will flounder. Remember that your people are the first port of call your prospects have with you and your company. They are your brand. If they exhibit a positive mental attitude it will radiate. People still buy people. Ultimately, telemarketing techniques will only take you so far. Knowing how to handle buyer objections is important. Overcoming gatekeepers is vital. But being able to motivate others through self motivation is a major asset amongst cold calling success factors. Do they seem passionate about making calls? How would they handle rejection? Strategies for handling rejection are important but ultimately, it’s about getting up, dusting down and getting back on the horse. Rejection is part of telemarketing. It isn’t personal and motivated callers know that. They shrug, smile and move on. So choose your telemarketers wisely. Recruiting good telesales staff is the first thing you need to do. How do they come accross? Are they motivated at interview? Do they sell themselves with personality as well as knowledge? Would YOU want to buy from them and spend time with them? Does their voice sing to you or is it flat, monotone, slow and boring? These are pivotal criteria for good telemarketing callers. Of course, you can provide product knowledge. You can also send them on telemarketing skills courses to hone their cold calling skills. But, even armed with cold calling skills, do they come across as positive and engaging? If they don’t sound good to you, how will they do it in the heat of battle when they need to secure more appointments? So, it’s absolutely about the demeanour of your callers. But what about the role the company, the boss plays? They also need to recognise that they play a big part in keeping telemarketing staff motivated. Good positive telemarketers thrive in positive environments. What kind of environment are you creating? Are you keeping them in the dark in a small office and providing limited information and feedback? Two way communication is vital to keeping callers motivated. Likewise, how are you reacting to each appointment? Are you celebrating success? If not, why not? A positive person lives off positive feedback and it is often not about financial inducements and incentives and more about rewards of recognition that drive good telemarketers on. So, make sure you provide the right atmosphere by celebrating every success. Bake a cake so to speak (perhaps not literally). But make sure that you celebrate with small rewards that say ‘I appreciate the work you’re doing and well done’. Strategies to generate more telephone appointments are many. There are certain cold calling success factors. But the overriding factor that will ensure that your telemarketers make more quality sales appointments is the attitude of your callers. Value them. Encourage them. Educate them in the marketplace, buyer challenges that keep them up at night and of course your products and services (and more particularly the genuine buyer benefits). But above all, recruit and motivate positive telemarketing staff and you will reach more decision makers and generate more appointments.